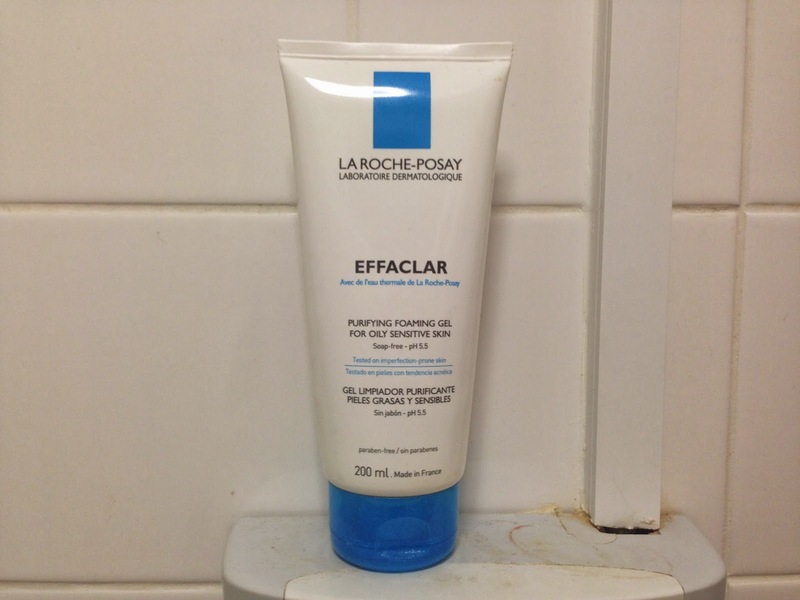 The latest addition to my Effaclar collection is the La Roche Posay Effaclar Purifying Foaming Gel. I went for this purely because I’d run out of cleanser a month or so back and I decided that this would be a good one to try. I also had some thoughts as to whether or not this would be similar to the Bioderma Purifying Cleansing Gel (a.k.a. my favourite cleanser ever. Link – here). Unfortunately, this isn’t as magical as the Bioderma cleanser. For starters, the consistency of this product is a lot nearer to a balm than a gel which makes applying it to wet skin a bit tricky; it has a tendency to stick to one place or not even out successfully which can be a pain in the back side. By the time it’s on the face, you realise that you don’t even look that covered in it which isn’t something I like in a cleanser. I like to know that my face is drenched in it so that I can convince myself that something is actually happening. This cleanser also lacks a tingly feeling when the cleaning is typically done which also makes the process a bit ‘touch and go’. The effects of this cleanser are very basic as well. The first few goes left my skin feeling pretty nice and clean in comparison to the past cleanser I was using. It was, however, a bit more boring after a good week or so of use; the magical clear up effect that you would get with the Bioderma cleanser was no longer happening and instead, I was getting a clean that was possibly just as weak (if not more) than my morning Soap & Glory cleanser (link – here) which I’m really not looking for. As a result of all of this, I wouldn’t go rushing to pick this up in any kind of hurry. Considering the price, spend an extra pound in P&P by picking up the Bioderma Purifying Cleansing Gel – a much better, deep cleaning foaming cleanser.